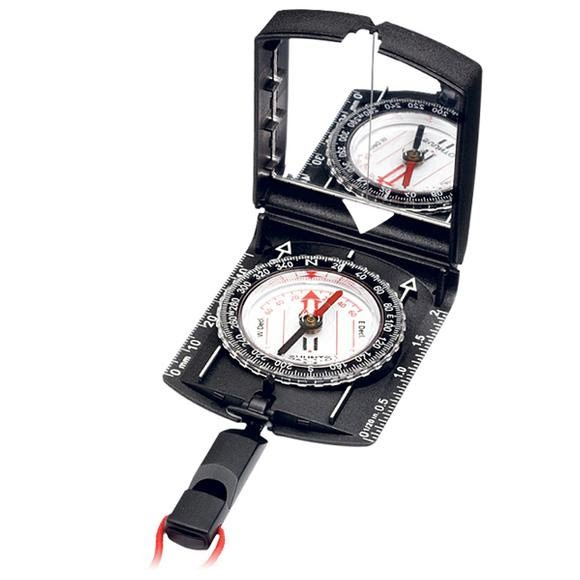 The MCB is an invaluable tool for those who place a premium on accurate and reliable directional measurements such as surveyors, miners, architects, rescue patrols, hikers, boaters and the military. The declination adjustment system, standard throughout the range, is especially useful when working in areas of large magnetic variation, while the sighting notch provides superior accuracy. Balanced for northern and/or southern hemisphere. Detachable snap-lock lanyard with whistle. Easy to detach for working with the map. Sighting hole and notch for accurate bearings.